Shows a delicious combination of mineral, herbaceous and exotic aromas. Its flavours are reminiscent of fruit salad, herbs and minerals. 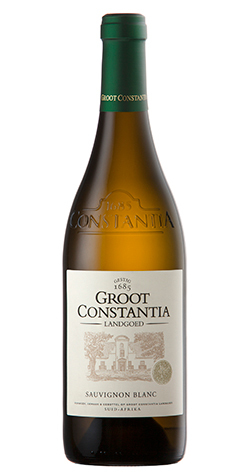 A fresh crisp white wine with exciting tropical fruit such as gooseberries, Granadilla, and kiwi fruit. The tropical fruit combines with hints of green and fine minerality on the palate. Grapes are hand-picked early in the morning to retain freshness and fruit flavours. They are crushed and destemmed into the press giving the juice some skins contact before being separated. Only the free run juice is used. The juice is settled until clear and cold fermented (12 – 140C) in stainless steel tanks to enhance the typical varietal characters. Commander Simon van der Stel of the Dutch East India Company (VOC) arrived at the Cape supply station in 1679. Estranged from his wife he arrived in the company of his children and sister-in-law, Cornelia Six. Back in the Netherlands van der Stel had gained a solid background in viticulture at his vineyards in Muiderbergh. There he learnt the art of wine and brandy making which he was soon to implement here in the Cape. The estate is today owned by the Groot Constantia Trust, an association incorporated under Section 21 of the Companies Act of 1973, which is committed to maintain and restore this national monument which is South Africa's oldest and best-known wine estate. Constantia stands as a pinion of excellence for the wine industry and is an ideal example for the preservation of the cultural and historical heritage of the country. It is a fully operational farm, one of South Africa’s most visited tourist attractions, where a wide range of quality estate wines are created and sold (seven days a week), and a variety of other attractions, including restaurants & museums make a visit an unforgettable experience.